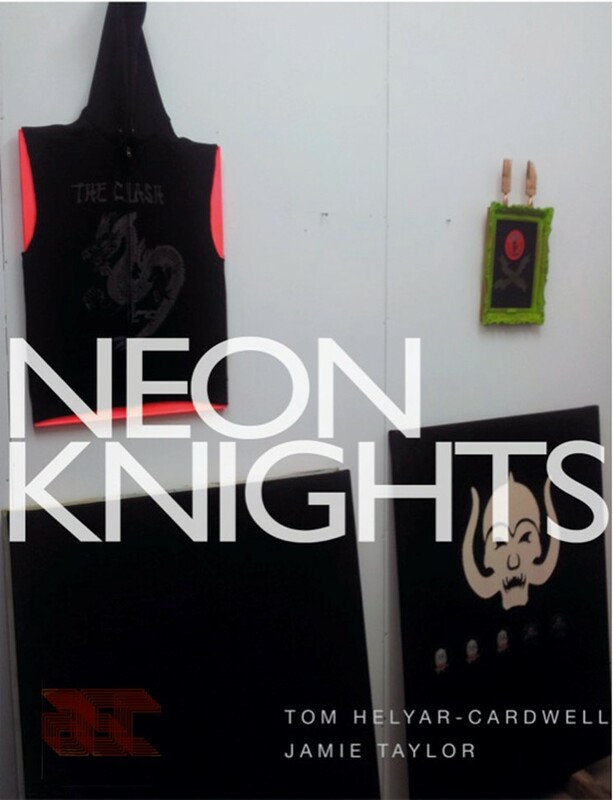 Neon Knights presents a selection of new and experimental work by London-based painters Jamie Taylor and Tom Helyar-Cardwell. The title is taken from a 1980 song by Black Sabbath, which was supposedly written and recorded quickly to fill space on the album Heaven and Hell. The idea of working experimentally is reflected in the works presented here, which represent new departures for both artists. Colour is also important in this show, in the luminous pigments employed by Taylor which contrast with the greyscale schemes his work is better known for. Helyar-Cardwell uses a combination of neon shades and more muted tones in his constructed paintings and objects which refer to art historical tradition and heavy metal culture. Taylor’s work continues his interest in vernacular photography found in antique shops, markets, his family archive and the internet. Essentially these are paintings of digital scans of photographic objects. He is interested in issues surrounding history, memory, loss, handmade versus mechanical, the history of painting, the history of photography, photographic storage in the digital age, and digital versus analogue. New works by Helyar-Cardwell are part of an ongoing project exploring the DIY ‘battle jackets’ worn by heavy metal fans. Techniques of assemblage, stitching and painting are used as direct references to the construction techniques used in these jackets. The juxtaposition of typical metal imagery with references to art history invite a comparison of these differing yet related making traditions and ask questions about hierarchies of culture and aesthetics. Tom Helyar-Cardwell studied MA Fine Art Painting at Wimbledon College of Art, and is currently a PhD researcher at Chelsea College of Arts. Recent exhibitions include the solo show Faith Once More, Herbert Read Gallery, Canterbury and Fragmented Narration, Estudio Lamina, Sao Paolo. Jamie Taylor has an MA in Fine Art Painting from Wimbledon College of Art, University of the Arts London. 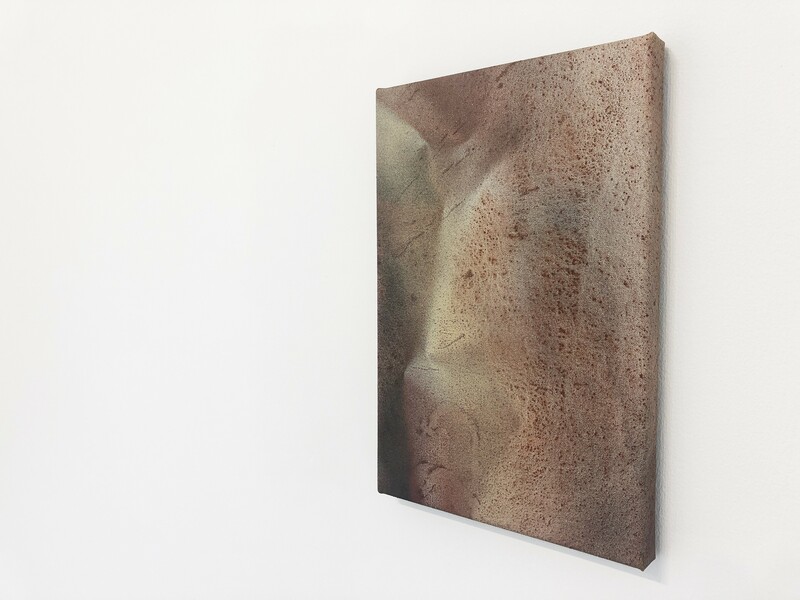 Recent exhibitions include “Have We Met Before”, John Martin Gallery (2014), a solo show at Schwartz Gallery Project Space (2011), and “Unobtrusive Measures”, Kunstpavillion, Munich (2012). He was selected for the ArtWorks Open, Barbican Arts Group Trust (2014).